Moved bumper stickers into the appropriate places in the Sample Pack. Updated Guide for Lecture-Respond-Share format. Minor cosmetic change to Deck. Please make contact with your ADGM if you want to host a planning session at your lodge. 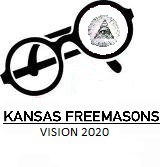 Initial presentation of the Grand Lodge strategic plan VISION 2020 as given to the Craft at the Annual Communication in Salina on March 19, 2010, with M:. W:. Roy T. Sullivan, Jr., Grand Master. The Craft was given an update a year later on the progress of VISION 2020 at the Annual Communication in Salina on March 18, 2011, M:. W:. L. Kent Needham, Grand Master. 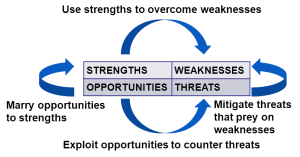 Links to outside sources for Strategic Planning. These are links I’ve found that may be helpful. The links are non-exhaustive and are supplied for reference only. Grand Lodge is not recommending or endorsing specific sources or products.